I received the following information a week ago. I know there are more stories about "Big Red" out there. My name is Joe Bednarz and while I reside in Manchester, I’m originally from Glastonbury. Today, I’m 65 and like many of us, relive our life's experiences by thinking about the past. I’m an old “drag racer” and recently, been thinking back to some of those things I didi in my younger years. 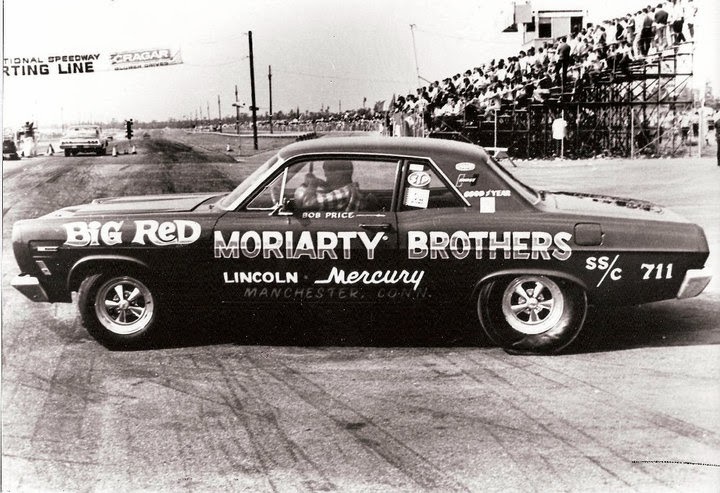 Since the early sixties, I’ve been involved with or exposed to a number of people involved in drag racing. I worked as a mechanics at Monaco Ford and later became their automatic transmission technician (sounds better than “mechanic”). Today, I’m a 44 year executive with AAA and still working. Here is part of my story about the 1967 version of “Big Red”. 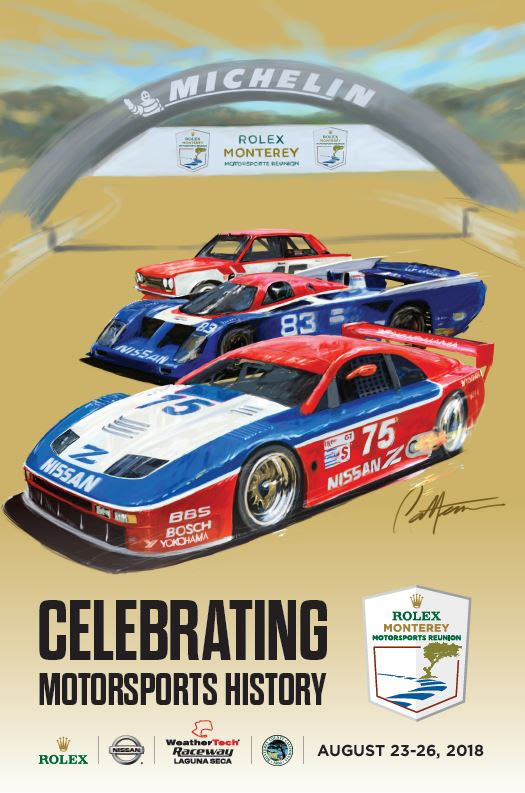 In 1968 I was working at Monaco’s and doing side work on some local hot rods. In 1968 I had just ended a partnership in a race car with my fried John Dillon. Together, we had built a 1966 Ford Custom 427 Side Oiler into what was known at the time as “experiment stock” class that last later discontinued. We cut 12 inches from the frame and to shorten the wheelbase, stripped out all interior components, built a roll cage and transformed the Full size Ford into a "Falcon wheelbases" junior funny car. My partner and I had considerable experience with the 427 side oiler and had some early successes. These are entirely different stories! To earn extra money I moonlighted on cars. I was rebuilding a 1966 Corvette (from scratch) and needed money. The local car guys knew me and understood I like challenges. The usual hangouts were Augie’s in East Hartford, MacD’s in Manchester and the Farm Shop in Glastonbury and that is where I could be found most nights when not in my father’s two car garage working on someone’s car. 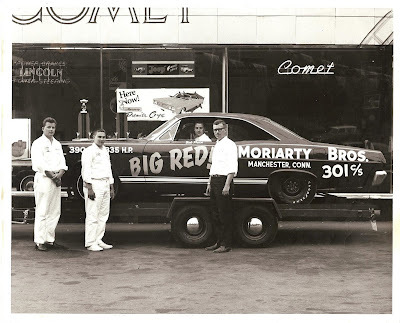 One night, in rolls Moriarity Brother’s 1967 Comet “Bi Red” driven on the street! Behind the wheel was an old classmate named Don who I learned had just purchased the car. This was not a car for the street and whoever sold him this did’t do him any favors. Don and I spoke as he was having some difficulty. First, he was only running on one carburetor. The car would not run with both. Second, someone had installed top oilers on the car because the rocker arms were not getting oil. Finally, the car had it’s original race rear end (5:14 gears and a Detroit locker”) certainly not something that would work on the street. Within a few weeks, I had changed the gears and removed the locker. I then tried to get both carbs working by re-jetting them for the street. Don continued to drive the car and bring it back occasionally. It was a mess and I told him I had never seen any successfully drive a side oiler on the street. It was just too high strung. At the shop, we had sold a 1966 Galaxy XL Side Oiler to a local fellow and he was having the same difficulty. The top oilers bothered me as I knew that wasn’t right as it was an old trick on vintage cars where their oil passages had become blocked with sludge. Certainly, this was not the case with “Big Red”. Don was in the Navy and was soon to go out on patrol and would be gone six months. We agreed he would leave the car with me and I would pull the engine, do a rebuild, repair all the exhaust leaks, overhaul the brakes and put the car in shape for his return. For the next few months this occupied most of my spare time. Soon the car was done and ahead of schedule. I drove it a few days and it seemed to respond. It was not my idea of a street car or daily driver but I wasn’t the owner. Shortly before Don was due back, I took it out for on least road test. As I was shifting from first to second at about 4,000 rpm, the engine made a funny noise and I shut in town. An inspection revealed it had sucked a valve, destroyed one piston and one cylinder head. New parts were ordered and the car was finished before Don’s return. He wasn’t expecting a bill for a piston, head and another gasket set. Don drove the car for quite some time but eventually learned it was not a street car and eventually sold it. When it is today I have no idea. All i know is I invested countless hours and was paid next to nothing because I felt somewhat responsible for the broken valve. There is a little more to this but it’s probably better to leave it unsaid. It will however, add a bit more “history” to the 1967 version of Big Red.